The Laguna Pueblo has more than 4,000 people on over half a million acres. The Pueblo has six villages spread over a semi-arid landscape. The Laguna speak primarily the Keresan dialect. This Pueblo is the most recently established of all the Pueblos. The Laguna Pueblo ancestors came from the North. The people here were refugees from many tribes that were fleeing the Spanish Reconquest in 1699. 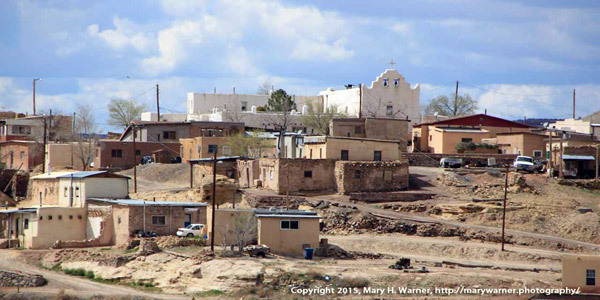 Refugees from the Hopi, Acoma, Zuni, San Felipe, Zia and Sandia tribes reside here. Four dialects are spoken on this Pueblo due to its diversity. Each of the six villages also has its own slant on ceremonies and on the dates that they take place. The Laguna people farmed plots around their villages and many later became herders when the Spanish introduced livestock to the area. Today it is primarily a livestock grazing region. 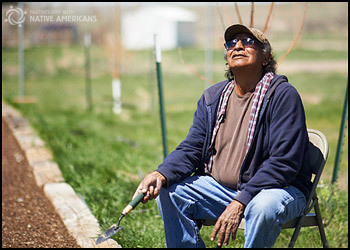 There was once a large uranium mine on the Laguna Pueblo that was once the predominate employer on the reservation. Construction, land reclamation, and manufacturing are the leading employers today. The St. Joseph Mission Church in Old Laguna village is considered one of the most beautiful Spanish Mission churches. It contains some beautiful and important paintings. This Church is still in use today.